Batch size - 60 KG. - Electric up and down motion. - Forward and reverse motion of the rollers, controlled by electronics. 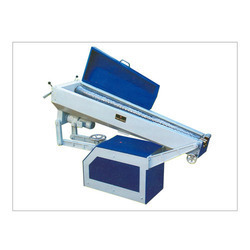 Being a leading firm in this industry, we are manufacturing a high quality range of Batch Roller And Five Stage Rope Sizer. To meet the diversified requirements of our respected consumers, we are occupied in offering an extensive series of SS Batch Roller With 5 Stage Attached Rope Sizer. As per the requirements of our customers, we are involved in offering best quality of Batching Roller. This Batching Roller is widely used to form the confectionery batch into a continuous rope which can then be worked into the final product. These products are appreciated among the customers due to their quality. Pioneer in the industry, we are engaged in manufacturing and supplying an impeccable range of Batch Roller. 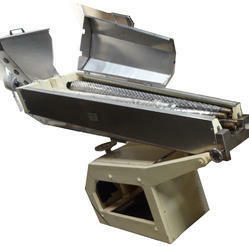 - Used in food & beverages industry and bakeries.